1) I must see the shoe color's composition and make a swatch. 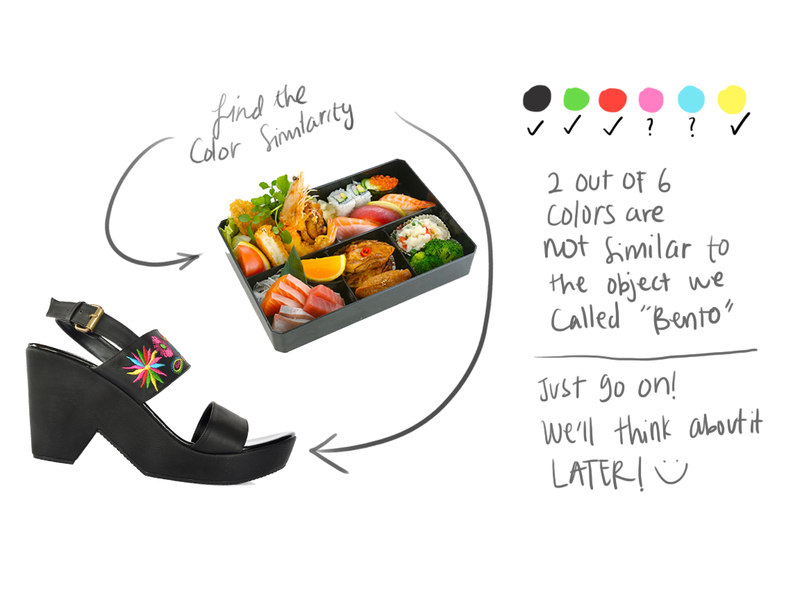 after that I Googling some random food photos that have similar colors with the shoe. 2) start tracing the photo I just downloaded from Google and put a little color marks. 3) Ta-da we're done guys! 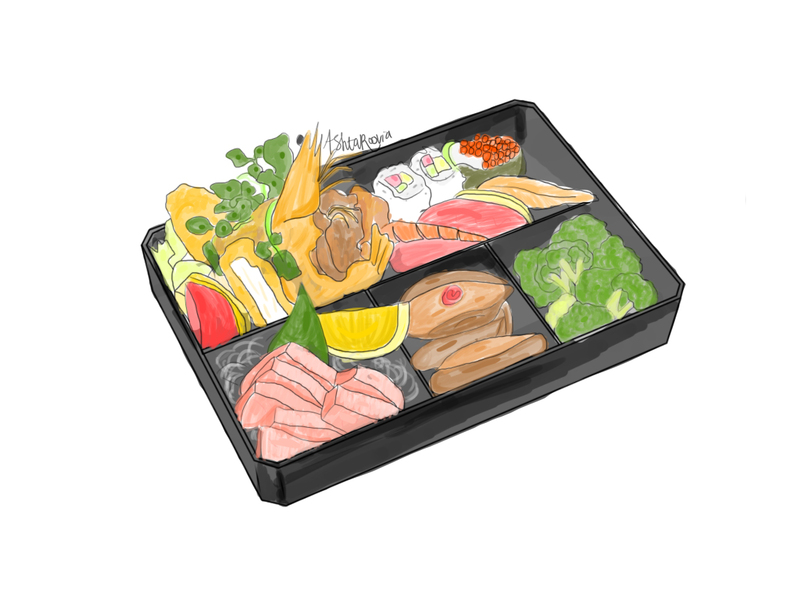 finally, your bento is ready to served! enjoy your bento dear guys! been on another experiment with watercolor and black Chinese ink. I don't like her eyes. I think I must focus to learn on eyes and nose. anyway, how often you think you know the people you hang out with? and when you found someone's personality that doesn't fit yours, what do you do to him/her? leave them? or keep it cool because you know your friendship won't go further? most of people tend to say no for being picky. what actually does it mean (at least to you)? for me, it wasn't that clear until I met those people who were called "friend" act like strangers today. well, I'm not talking about who's right or wrong. who's good or bad. I'm wondering as I get older it's hard to meet a close friend or somebody I really could rely on like when I was in Junior High School. I have real close friends where nobody will leave each other alone even when I want to go to the toilet. I miss the closeness between friends where there were nothing we didn't know about each other. 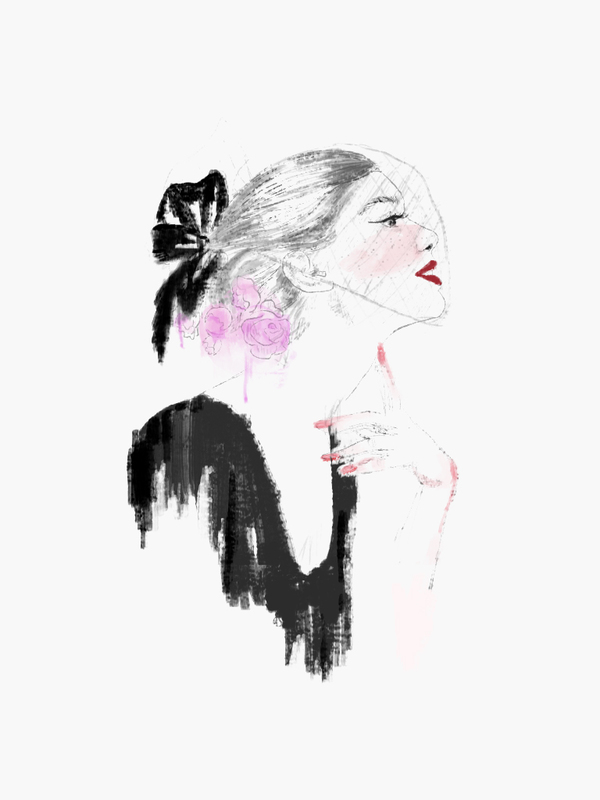 we keep telling secrets about what most people never knows about. we have jokes that no one could laugh but us. we share our shoes, bags, tees and anything. we just love to help and support each other. no hate or competition between us just a lil misunderstanding sometimes. how many times you get disappointed by those people you trust from the very first time you met them? I could say that I got many. I know I'm not the one who suffer here. maybe those who were being my friend also feel the same; they disappointed with me. and I feel so sorry I couldn't be the one who stand for our friendship (neither you could). today, I realize that we just have a different perspective about friendship and stuff. the one who usually open now become introvert and vice versa. those days when we shared stories and secrets are no longer happen these days. we could only hear a silence between us because secrets are totally become secrets like none of us dare to tell even just between us. we know each other less and less, we don't have that much time to talk about our stuff or even just to meet in our favorite place. do I really feel sad during this transition? no, I personally don't. because it wasn't just happened like that. the fact is in the process when we manage to have new friends that we met in the college, workplace, community, friend of a friend, boyfriend, boyfriend's family, etc. how do we usually feel about something new? happy of course just like when I (or you) have a new pair of shoes. that's what (I guess) my friends and I feel right now. we're happy with our new habit, new circle of friends, new career, new experience and some other things we never done in the past but we do it today. when we were young all we think about was how to get a good score to make our mom happy, how to get closer to our cute senpai, what movies or dvds we must watch this week and another basic things. I'm not forgetting those memories I had with them. I'm just trying to be real that today isn't yesterday nor tomorrow. today is the day when we must enjoy every single thing that happen to our life. make peace with yesterday and keep our thought positive about what will happen tomorrow. good afternoon dear readers! today, I'm introducing my new friend named Daisy. she's really pretty and cheerful like her most favorite flower Daisy. oh, she's from Hawaii! she promised to teach me Hula dance but because she's busy cooking, she has no time to do it. maybe I'll ask her to make a tutorial and upload it to Youtube. I met Daisy in a supermarket when she's on vacation to Indonesia. she saw eggs in my shopping list and she suggested me to buy Banana. err, I love Banana but why suddenly a Banana? what do you guys think? gross or yummm? I've tried it at home. to be honest, I like it! maybe because I love eggs and Bananas too much and when they're all mixed I could say that it wasn't too sweet at least for me (I don't like sweet). hope you guys would love it too! 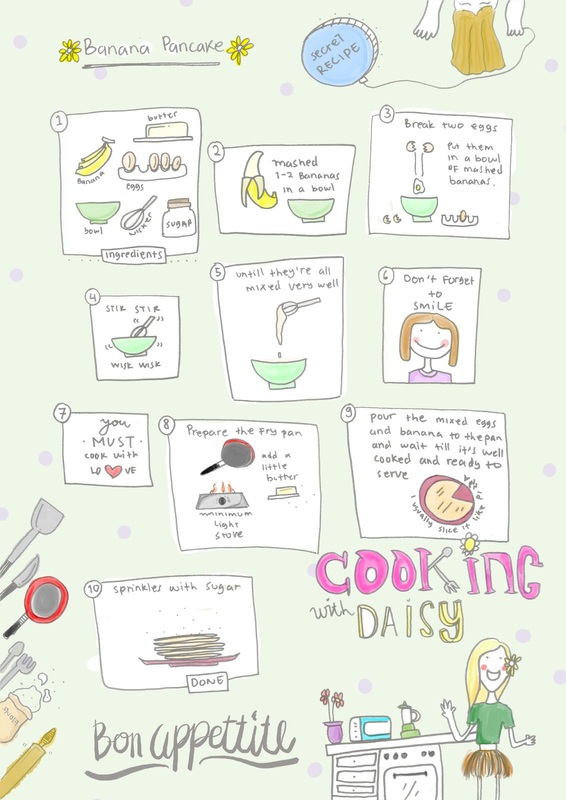 see you around with Daisy and her recipe. hi, I can't believe it's March already! I'm so happy with my new artwork haha it's been a long time since I did something weird to myself. finally, another weird picture on my blog. yay! anyway, today a year ago, I was so so happy because I finally graduated from university after 5 years (what a long journey)! I remember those days after graduated from uni when my head and heart felt like want to explode because life was getting clearer to me that I have to choose what I really want to do for my life, to make a decision and make the right one. I once felt like the most desperate uni-graduated who knew nothing to do, doubted my skill and abilities, had no clue about the company where I chose to apply my cv and I don't even understand its job description, lack of inspirations and another stressful days back then. I was drained emotionally and financially. thanks Allah for always being there in the process. I know that you are the one behind every single thing that happen in my life thank you for giving me clues. today is different. I'm not somebody I just told you above. I know what I want to do for my life, I've decided some things and I wish I've made the right decision. I know what I must do, I'm sharpening my skill or even learn a new one so I won't be doubtful anymore. I'm getting to know more and more about the company where I work everyday and I understand my job. 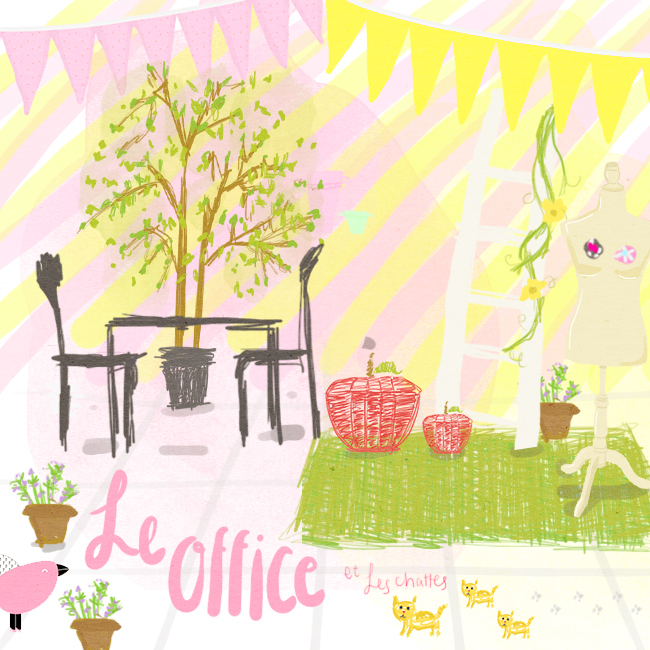 did you notice my blog layout? It didn't change that much. I just added some links you may want to see. go go check them out! thank you for reading my blog, honestly, I'm still learning how to write! oh no, I really need to take a time to write and read more. I will consistently write more, draw more and take a picture waaay often. thank you once again!